"Joyce Brookshire sings with an open heart and an open life. She touches on her family, her loves, her beliefs and, most importantly, on her community. These are songs you're seldom lucky enough to hear on the radio. They're too real, too honest. Garth, Shania, Trish and Reba may have the names... but Joyce Brookshire has the goods." Conceived in the Appalachian mountains of northeast Georgia, and raised in the urban mill village of Cabbagetown. Joyce Brookshire writes songs that are as old as the hills and as contemporary as urban pioneering. In the 1880s folks from the North Georgia mountains moved to Atlanta to work at the Fulton Bag and Cotton Mill, and Joyce's family was among those who brought their rural way of life to build a new community in the city. Joyce's musical influences were many. Her father, a truck driver, played guitar and sang in a quartet at the family church. The Brookshire's neighbor Grace Mote was one of the first Cabbagetown residents to own a record player and when she played Kitty Wells and Webb Pierce, Joyce would run over to her porch and yell, "Turn it up, Grace!" A teenager in the '50s, Joyce was also deeply influenced by rhythm 'n blues and rock 'n roll. Joyce began writing songs at age ten and hasn't quit since. 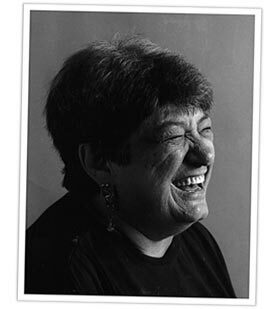 In the early '70s Joyce went to work at The Patch, a drop-in center for kids in crisis in the Cabbagetown neighborhood. At The Patch, Joyce met Esther LeFever who was to have a major impact on Joyce's life. Folk singer/political activist/ex-Mennonite and friend to the poor and disadvantaged, Esther pushed, prodded, and nurtured Joyce's talent as a songwriter and performer. "Without Esther, most of my music might still be in my head," says Joyce. In the '70s and '80s Joyce toured with folk legend Guy Carawan and for a few years lived in Knoxville and had a band called Phantoms of the Opry with Phyllis Boyens (Loretta Lynn's mother in the movie Coal Miner's Daughter). Since that time, Joyce has used her songs to express not only her own feelings, but to become a voice for the hungry, the homeless, and the poor. In 2009 Joyce was honored by the Georgia State Legislature for her service to her community of Cabbagetown and the state of Georgia. The award was presented to Joyce by Senator Nan Orrock at a broadcast of the Mountain Music Medicine Show on Georgia Public Radio. In 2009 Joyce also received a special award from Grassroots Leadership, presented by internationally lauded singer, songwriter, and community organizer Si Kahn. Along with the Indigo Girls and other noted Atlanta musicians, Joyce is featured on the infamous Don't Eat Out of Dented Cans album produced by WRFG Radio. Her music has been featured in the theatrical productions Cabbagetown: Three Women, Ponce de Leon, Blood on Blood, and Texas Two-Stepping With the Girls. In 1987 she was nominated for a Georgia Emmy for "outstanding achievement in original music." Her music is also featured in the film Lipstick and Dynamite by Ruth Leitman. Joyce's first solo album North Georgia Mountains was released in 1977 by Foxfire Records. Her second recording Whatever Became Of Me was produced by DeDe Vogt and Elise Witt and released in 2000. Cabbagetown Ballad also produced by DeDe Vogt and Elise Witt, and released in 2005, features the Reel World String Band from Lexington KY as her back up band, along with a host of talented Atlanta musicians. Says Joyce, "This will be as close as I ever get to writing my memoirs." And does she ever have a story to tell!